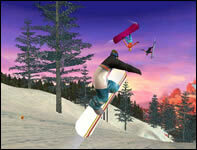 SSX Tricky is a sequel to the successful SSX game which originally appeared on Play Station 2. Now that the series is graduating to Nintendo GameCube, the action is more intense than ever before. 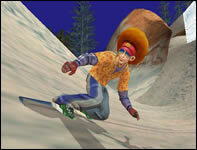 Despite responsive and realistic play control, SSX Tricky thumbs its nose at reality and allows gamers to link together impossibly insane tricks over stomach-dropping gaps. 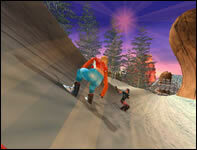 SSX Tricky is a complete experience, and while not the breakout game that a Smash Bros. may be, it is certainly entertaining, fun, and worth every penny.